Remember what purchasing your first home felt like? There were so many things to consider that it was difficult to determine which factors were important and which were not. You probably also realized that this was a fairly significant commitment and you did not have much room for error. If you are looking for a technology solution to transform your HR department into a data-driven decision-making entity, then you are facing the same type of highly complex and highly critical decision as buying a home. 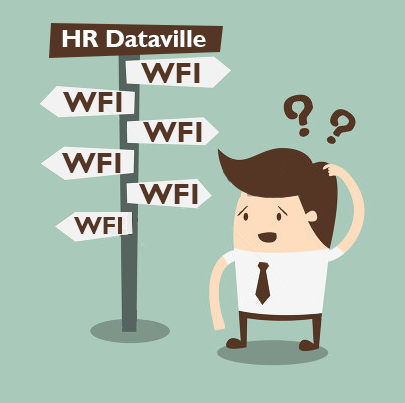 With the “datafication of HR” as one of the industry’s hottest topics, business leaders are increasingly expecting that HR leverage the massive amounts of workforce data generated by their multiple systems. Through the analysis of this data, HR can maximize business outcomes by enabling better decisions about talent. However, many organizations do not have the foundational tools necessary to get the right insights from workforce analytics or to plan effectively. According to a study by Bersin by Deloitte, only 14 per cent of organizations are using workforce analytics to support workforce decision making. A study by the Aberdeen group found that only 17 per cent of organizations use a best-of-breed solution to support workforce planning. Question #1: Can it get me the answers I need? For most companies, HR data resides not only in their HR Management system, but also in other, disparate HR systems (the applicant tracking system, learning management, recognition, payroll, performance management, and more). In order to get the answers to important workforce questions, this disparate data needs to be connected. To get a sense of whether the solution will yield the answers you need, find out if the solution can connect data from multiple sources — and the amount of effort, time, and complexity to get you there. Question #2: How long will it take to get my answers? With the time-to-value for HR technology solutions varying from weeks to months and sometimes years, it’s important to know how long you will have to wait to get the analysis you need after you sign on the dotted line. For example, a traditional approach to business intelligence requires IT to build a data warehouse (this takes 12 or more months), deploy BI tools (this takes 3 or more months), and create queries, calculations, and visualizations (taking another 3 or more months). This 18-month time frame does not take into consideration the high risk of failure, the dependency on external teams, or the fact that the result may not include any workforce planning functionality. How long does it takes to deploy the technological infrastructure? How long does it take to determine the analytics to calculate and what is important? What level of effort is required on your part? Who takes care of bringing in and updating your data, past and present, from all your data sources? Does the solution provide HR with self-service capabilities, or does an analyst need to generate reports? Question #3: Is it flexible enough for my organization? As mentioned in my previous post about linking business and talent strategies, executives have taken to using the military acronym VUCA – Volatile, Uncertain, Complex Ambiguous – to describe the world in which they operate. This uncertain world requires flexibility for the solutions you are using. For example, changes at the macroeconomic level can mean that you are switching from growth mode to cost reduction mode, which requires a different types of analyses. This raises the important question of flexibility. What does it take to perform ad hoc analysis? What does it take to apply an existing analytic to a different employee population? What is the scope of the content (or analytics) included with the solution, and how often does the solution provider add new content? Question #4: Can I extend workforce intelligence to the entire organization? The benefits of Workforce Intelligence is much more impactful when extending its use outside the analytics department to those who have the power to implement change. One of the most important goals in any company is to retain its top performers. With access to a Workforce Intelligence solution, department heads can get on-demand predictive analytics revealing which top performer might leave next. With this kind of insight, these department heads can create a course of action that can prevent this person from leaving the company. However, as the leaders in the business are typically very busy, their workforce questions must be answered quickly, easily and accurately. This means that the Workforce Intelligence solution must be usable with little or no training required. It’s not realistic to expect that solutions requiring coding, manual data imports and other technical knowledge will be widely used by HR business partners, line managers, and business leaders. Is it intuitive? Can workforce answers be found and understood without instruction? How easy is it to share findings? Does it facilitate collaboration when creating workforce plans? Question #5: What kind of planning capabilities does it have? Many solutions equate workforce intelligence to workforce analytics, however this is only half of the picture. Once analytics have helped you determine “what and why things are happening,” the next step is to create a strategy and plan to get where you want to go, whether you want to draw a picture of how growth can be achieved and associated costs, or model the effect of improving turnover to quantify cost savings. This is where you need the all important workforce planning capabilities. Can the solution leverage our past trends (such as turnover) to project future position requirements? Does the solution let us create, compare and contrast different future workforce scenarios? Does the solution let us perform both bottom-up (for headcount) and top-down (to budget) planning? Does the solution let us see all current and projected future workforce costs? Does the solution streamline collaboration, supporting multiple planners? Does the solution integrate with our workforce analytics, to enable plans to be measured and monitored? These questions are important when selecting a Workforce Intelligence solution. However in comparison to all of the items you should consider they are the tip of the iceberg. To see a full list of items you should examine when comparing different solutions download the Workforce Intelligence Solution Checklist. The post Finding the Right HR Datafication Solution: The 5 Most Important Questions You Need To Ask appeared first on Visier Inc..